How can I print eQSLs on my 4x6 (A6) postcard printer? How do I handle SWL cards? How do I handle IRLP or EchoLink cards? How do I retrieve my eQSLs? How do I send eQSLs? How will I know if there are any eQSLs waiting for me? I am only interested in seeing new countries I do not already have per band and mode. Do I need to e-mail the other ham when I post a card? How can I contact the sender of an eQSL? How do I delete a card after I have retrieved it? How can I notify the recipient that I have sent an eQSL? Does this system automatically eliminate duplicates? How do you prevent fraudulent eQSLs from being posted? I don't have a scanner. How can I get my Authenticity Guaranteed? Why do you need to see my license? Can't you just look me up on QRZ.com? How do I cancel a monthly PayPal payment? I accidentally gave you the wrong E-mail Address. What should I do now? I'm having a problem with "Cookies"
How can I download my logbook from eQSL in ADIF format? Does ARRL accept eQSLs for awards and contests? How can I apply for awards? What are the rules for eDX? What are the rules for eDX100? What are the rules for eWAS? I have more than one callsign. How should I handle that? I have more than one QTH for the same callsign. How should I handle that? How can I register a special event station or other callsign that has already been registered? How can I unsubscribe or delete my registration? Why do we need Electronic QSL cards? What does an eQSL card cost? What does an eQSL card look like? Where can I post my comments about the eQSL.cc system? How does eQSL.cc make any money at this? Why don't you just list all the QSL cards? Why aren't you called eQSL.com? What's the CC? How can I print eQSLs on my 4x6 (A6) postcard printer? After you have clicked the "Display" button from your InBox or Archive, there is a link at the bottom of the popup window below the eQSL graphic that will give you a "4x6 (A6) Printable Format". The printable format eQSL will appear in that same window, but without all of the text below the card graphic. Click the PRINT button on your browser's toolbar, and then set the "preferences" for your printer. Normally, you will specify a high quality paper such as "Canon Photo Paper Pro" or equivalent. Select the "4 x 6" or "A6" or "Postcard" format, and use "Landscape" mode. Place the paper into the printer vertically oriented. If you can perform a "Print Preview" before printing, do that the first time, so you can see that the card will appear in the correct dimensions on the paper. You may need to play with the margins to get the card centered perfectly. We use the Canon i850, i950, and PIXMA ip4000 printer here at eQSL.cc, and can give you specific advice on papers and settings for that printer, if you need it. You should be able to use Epson, HP, and other printers as well. The card will have a border line drawn around it with 3.5 inch by 5.5 inch dimensions, in case you need to trim the paper to make the card fit into popular QSL card holders. We are working on a modification to allow you to print QSO details on the back side of the card. See "Site News" for details when this is ready. What is an eQSL? 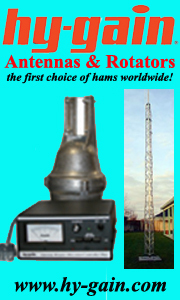 Clever hams were sending electronic QSL cards by e-mail years ago. Back then, that was the only way to send them. But e-mail is not a very easy way of exchanging cards. So, in 1998, we created the first eQSL exchange and called it www.QSLCard.com, and it has attracted a huge following. Our system does not use e-mail at all. So you really don't "send" eQSLs. Instead, it stores your log in a large database. When another user uploads his log, we look at all the log entries that "match", and allow you to display and print eQSLs from those matching log entries. In April, 2000, we converted the entire system to a very robust and high tech database-oriented system and renamed our site www.eQSL.cc, the Electronic QSL Card Centre. We are now the ONLY exchange for electronic QSL cards, with 655.3 million eQSLs from 330 countries currently online. And, since we have nearly as many members as ARRL, you can be assured that this will continue to be the place to maintain your online eQSL log! What does an eQSL card cost? Nothing. The eQSL.cc basic service is free. We only ask that you make a donation if you want to use a custom graphic of your own design, or if you want to participate in contests and awards we offer. What does an eQSL card look like? Here is a sample card. When printed, the card will typically be about the same size as a conventional QSL card. Where can I post my comments about the eQSL.cc system? You can post your comments on the User Comments Page. The Comments page is not a place to ask questions or present problems, but should be used to sing our praises and tell everybody how much you love us! There are other places to ask questions and get help on problems. Does ARRL accept eQSLs for awards and contests? No. ARRL started its own web service for submitting logs for DXCC called "Logbook of the World". You will need to download special logging software and submit your license and other identification to use their system. Then you must pay a fee for each credit used for DXCC. The ARRL system is NOT designed to generate QSL cards. Check the DXCC information page for details. How do you prevent fraudulent eQSLs from being posted? Any user in the eQSL.cc system who wants to have his identity verified can upload a scanned image or a digital photo of his amateur operator or station license, or his SWL license. We will visually inspect it to verify that it appears to be a valid license issued to your callsign. Then we issue an Authenticity Guaranteed certificate and put the Authenticity Guaranteed logo onto each outgoing eQSL. This is the equivalent of a digital signature. We have several ways to verify your identity. For more details, read the Authenticity Guaranteed page. How does eQSL.cc make any money at this? Our expenses are covered by a few select advertisers and by donations from users who find our service valuable. Why don't you just list all the QSL cards? In order for electronic QSL cards to become widely accepted by contest and awards authorities, there must be sufficient security in place to prevent fraud. So we cannot just list all the cards. Besides, with over 100 million cards in our database, it would take months to display them all on your computer! If you are a registered user, you can log in and go to your InBox and see a list of all cards waiting for you. Do I need to e-mail the other ham when I post a card? No. When the other person registers with eQSL.cc, the cards you upload will automatically appear in the other person's InBox. If you end every QSO by saying "QSL VIA EQSL.CC" you can help us get everybody registered. Isn't that a whole lot easier than trying to look up everybody's current, accurate e-mail address? Of course, if you didn't mention eQSL.cc in your last QSO and you have the e-mail addresses, you can always just send an e-mail that refers them to eQSL.cc to pick up their card. But chances are, the other guy is already a member too! How can I contact the sender of an eQSL? If you need to contact the sender of a card you have received, you can do so by clicking on the CALLSIGN of any log entry in your InBox. I want to design my own card You don't need to lay out a complete card. We do that for you. All you need to do is enter the static (fixed) information into your profile (such as your callsign and station location), and select one of a number of different designs, and our software generates the eQSLs automatically. But, if you want to use a custom graphic on your card, you can upload it yourself. You will need to check the Membership page to see what you are allowed to do at your membership level. Go to My eQSL Design and you can upload a 320 x 240 pixel graphic for a Style 1 card, or a 528 x 336 pixel graphic for a Style 2, 3, or 4 card, or you can select the option to mail your card to us and let us scan it. I want to unsubscribe or delete my registration Please do not unsubscribe just because you have a new callsign. (Read this if that's the case!) We need to keep the logs from your old callsign in our database. But if you want to unsubscribe, we are sorry to see you go. Go to My Profile and look for the big red button at the bottom of the screen. How do I handle SWL cards? When a user sets the SWL/HAM checkbox in his Profile to SWL, it automatically forces all incoming and outgoing cards to say 'Confirming SWL Reception' instead of the usual 'This Confirms Our 2-Way QSO'. If you are an SWL, just make sure to go to My Profile and set yourself up as an SWL. If you are a ham, when you send an eQSL to an SWL, it will automatically put the correct wording into the card. How do I handle IRLP or EchoLink cards? 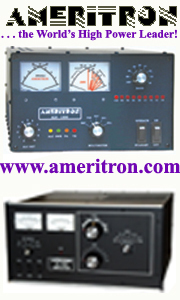 IRLP and EchoLink are not "pure" amateur radio modes, so they must be given special treatment. You MUST distinguish between a normal 70cm FM QSO and one that was assisted by an Internet connection, otherwise you are cheating the regular 70cm hams when you enter your logs for a contest or an award. ADIF logs Get one of the newer logging programs that supports ADIF 2 and the Prop_Mode field. Then make sure you properly flag your IRLP and EchoLink QSOs as using that propagation mode. Manual logs The Manual Log Entry screen now has a dropdown list for special propagation modes and we have made provisions for IRLP, EchoLink, and Satellites. There are many other propagation modes possible, such as EME, F2, etc. but we are mostly concerned with IRLP and EchoLink, because they "cheat" by using the Internet for the long haul. eQSLs for IRLP or EchoLink QSOs will be marked as such with verbiage such as "Confirming our 2-way IRLP FM QSO..." etc. and both InBox and OutBox log entries will display IRLP or EchoLink in the Mode column. Please make sure your logs have been properly set up with the new propagation mode so that you are not found to be in violation of any of the rules of our contests and awards. If you have any questions about how to change your logs, please Contact a Support Volunteer. How do I use this system to retrieve a QSL from someone? To ensure the integrity and security of the system, you need to register before you can retrieve cards. This only takes a few moments. After you register, you can go to your InBox and click the "Display/Print" button on the card you want to display. It will pop up a separate window containing the card. You can print it if you like. How do I delete a card after I have retrieved it? You do not need to delete cards after printing them. It is up to the sender to maintain his or her logbook, and for purposes of contests and awards we are planning, it is necessary to keep all logbook entries online in our database. So, you do not need to do anything. Once a card has been displayed, it is automatically moved into your Archive. That way, only the new cards (the ones you have not yet displayed/printed) will be left in your Inbox. How do I use this system to send QSL cards? First, you must register. Then you can specify the static (fixed) information that goes on every QSL card. This can be edited at any time on the Edit Your Profile page. Then, specify your card style, layout, colors, and fonts on the My eQSL Design pages. You can enter one card at a time using the Manual Log Entry link. You can upload an entire log file from one of the many logging programs that support ADIF format. There is nothing else you need to do. When others log onto eQSL.cc, they can see if you have entered a log entry that includes their callsign, and if so, when they upload a matching log entry and then go to their Inbox, it will automatically generate your card for them. How will I know if there are any QSLs waiting for me? If you are not logged in yet, enter your callsign in the Search box on the home page. If you are logged in, follow the InBox link. I am only interested in seeing new countries I do not already have per band and mode How can I archive all others easily? First, go to My Profile and look near the bottom in the "Advanced Features" section. Checking the box there will enable a new feature in your InBox. Now go to your InBox, and you will notice that any new countries that you do not already have archived for that band and mode will be highlighted in yellow. A new button will appear at the bottom of the page that will check the Archive box for all countries you already have for any given band and mode, and it will leave the new countries unchecked. Now just click the "Move to Archive" button, and the only ones left in your InBox will be the new ones! How can I notify the recipient that he has my QSL card? When you use the manual log entry (one entry at a time, not the ADIF upload), there is a button at the end that asks if you want to notify the recipient that you just entered a QSL for him/her. At present, this only works if the recipient is a registered user of eQSL.cc (so we have his e-mail address on file). If he/she isn't, then you won't see the button at all. I registered but never got a Signup Code or I forgot my Signup Code or I forgot my Password Click here and we will re-send it to your e-mail address. If the e-mail address you gave us is not valid, the transmission will bounce back to our automated system. If you believe that is the case, go here and you can correct the bad address and re-send your Signup Code to you. If you have Windows XP Service Pack 2, go to the Control Panel and select the Security Center then click on Internet Options. In the Internet Properties window select the Privacy tab then click the Settings button. Define www.eqsl.cc as a pop up exception. Then click Close to close that window followed by OK to save your settings. If you are using Microsoft Internet Explorer, go to Tools -> Internet Options -> Security -> Custom Level. Make sure you have set ACTIVE SCRIPTING to ENABLE. Someone sent me an eQSL with incorrect information, or sent me duplicates Only the sender can correct errors in incoming eQSL cards. You can contact the sender and let him/her know about the problem, by clicking on the CALLSIGN of the incorrect log entry in your InBox. In the case of duplicates, our system prevents entry of duplicate log entries, but if there is the slightest difference, (for example, Mode is "PSK" in one card and "PSK31" in another), then the entries are not considered duplicates, and you will need to discuss the problem with the sender of the cards. Some eQSLs that I have viewed stay on my list unshaded This is currently a problem if there are 2 or more log entries with very similar data, for example, 2 QSOs where the times are within a few minutes of each other. I'm having a problem with "Cookies" "Cookies" are a way for us to recognize you as you move around within eQSL.cc. They got a bad rap a few years ago when people thought they could be used to steal your personal identification info. Nothing could be further from the truth. The only thing we get from your Cookie is what we have stored in it to begin with, which is your CALLSIGN and your PASSWORD. Without Cookies, we could not offer this service, because you would have to re-enter your callsign and password ON EVERY SCREEN! We use a Cookie that is only maintained while your browser is running and deletes itself when you close your browser, so it is not stored on disk like some other sites' Cookies. Read the US Dept of Energy report about the safety of Cookies. If you are having trouble with Cookies, refer to the HELP menu on your browser to make sure they are enabled. In Internet Explorer, you can enable Cookies under TOOLS -> OPTIONS (or INTERNET OPTIONS) -> SECURITY -> CUSTOM LEVEL in your browser's menu. In Netscape, change your settings to ACCEPT ALL COOKIES or ACCEPT ONLY COOKIES THAT GET SENT BACK TO ORIGINATING SERVER. Depending on version, you may find Cookies under EDIT -> PREFERENCES -> ADVANCED in your browser's menu. My PayPal or Verisign payment was not credited Sometimes PayPal is unable to establish a link with our servers when you make a payment, and so we don't see the payment. If that happens, please contact the Webmaster and give us the date of your payment, your full name, and your callsign. We will research it and be happy to make the correction to give you credit. Be aware that you MUST make any payments to us using either the Membership or the Postage page. If you go outside the eQSL.cc system and make payments to us directly from PayPal, those payments will not contain the information we need in order to identify you, and the payment will "fall through the cracks". It will take us time and resources to track down the payment and figure out who it should be credited to. If that happens, please contact the Webmaster, but be aware that it can take days for us to do that kind of research. It's much better and faster to use the correct page inside eQSL.cc to make those payments. How do I cancel a monthly PayPal payment? Log into your PayPal account. Go to "My Account" -> "Profile" and follow the middle column "Financial Information" link to "Recurring Payments". That's where you turn it on and off. My PayByCheck payment was not credited PayByCheck uses laser printed checks that are mailed to us by regular mail. So it takes 2 to 3 business days to credit those payments. If you have been waiting more than 1 week, please contact the Webmaster and give us the date of your payment, your full name, and your callsign. We will research it and be happy to make the correction to give you credit. If you live in the USA or Canada, you can use the Authentication Code method, where we mail a postcard to your official FCC/RAC address. Find someone you know who has an Authenticity Guaranteed certificate. Ask that person to act as a Volunteer Guarantor. If you can find 3 people to guarantee you, you don't need a scanner. Note: This option is under review and may not be currently available. Why do I need to submit my license? Can't you just look me up in QRZ.com? One of the important security issues with any eCommerce site is the ability to properly identify the users. If we do not verify your identity, someone else could claim to be you. So we need a way to allow you to prove who you are. Your eQSL cards can include the Authenticity Guaranteed logo and certificate, and qualify for our awards and contests. That is our certification that we believe that any eQSLs bearing your callsign were in fact posted on our system by the authorized licensee of that callsign. I am using AOL and having problems We have received reports from some users that they cannot log in or retrieve or send cards because they get error messages. There are 2 problems with AOL. They "cache" pages inside their network in order to conserve bandwidth, which causes our system not to work properly. These problems are not specific to eQSL alone, but to many other eCommerce sites. On February 20, 2001, we added some code to our software to try to force the AOL network to stop caching pages, but we can't guarantee this will always work. We wish there were a more reliable solution, but the best you can do is to download the latest browser directly from Microsoft, and try using a different ISP other than AOL. We are working to find a better solution, but AOL is not exactly eager to change their entire network and browser. I am getting an error message "Server Busy" with Location 26 This is an error indicating a temporary problem in the server. Usually it clears up within a few seconds or a few minutes at most. Click the REFRESH or RELOAD button on your browser and try again. Does this system automatically eliminate duplicates? Yes, both the manual entry and the ADIF file upload perform checking to make sure there is no identical log entry already in the database. Any record with identical Callsigns, Date, Hour, Minute, Band, and Mode to another one already in the database is considered a duplicate. You will get an error message during manual entry or a DUPE indication during log uploads. So you should not have any duplicates. But if there is the slightest difference in one of the key fields (for example, Mode is "PSK" in one card and "PSK31" in another), then the entries are not considered duplicates, and you will need to discuss the problem with the sender of the cards. If you find any duplicates, please let us know all the details so we can research the problem. Try changing the window size by dragging the right edge and the bottom edge of the window containing the QSL card. Try changing the font size of your browser. Generally, the smaller font sizes will get you closer to the ideal size. No other fields are stored in our database. This means you will not be able to get the RST RECEIVED. Some logging software will not import a file without the RST RECEIVED. SO, please consider this as a catastrophic emergency recovery ONLY, and do not rely on us to maintain a "backup" for you. You can go here to download your ADIF format log file. I have more than one callsign. How should I handle that? Since you will want people to be able to access eQSL cards from QSOs under each one of your callsigns, what you should do is register a new user account for each callsign. Our system allows you to Log Out at any time so you can log back in under a different callsign. Enter the QSOs conducted under each callsign into the correct user account, so people can retrieve eQSLs for each of your callsigns, and they will have the correct callsign, QTH, and other information on them. More than one QTH or owner for the same callsign. If the same callsign needs to be registered to multiple owners or in multiple QTHes to the same owner, each account must have a different effective date range. This is all handled automatically within eQSL.cc. Go to MY PROFILE, and follow the link to MY ACCOUNTS. There you can add a new account with the same or a different callsign and attach it to your current account. Then you can log into that account, change the profile to show the new QTH and the dates of operation at that QTH. Any cards that come in for the time period covered under that profile will be automatically routed into the correct InBox. This is also the way we handle multiple owners of the same callsign, as in SK or re-issued callsigns, special event stations, etc. It is extremely important that you have the correct dates set up in MY PROFILE for each callsign! If for some reason you are not able to register the date range you need, please contact our Support volunteers. My E-mail Address is different than what you have on file. What should I do now? It is imperative that we have a correct e-mail address on file for you. If you are already registered, please go to Edit Profile and change your e-mail address there. If you just registered, and your e-mail address is incorrect in our database, our fully automated system will have received an e-mail about it. If you believe that is the case, go back and try registering again, and we will prompt you to correct the bad address and re-send your Signup Code to you. I want to change my Password. What should I do now? Go to Edit Profile and change your password there. Why aren't you called eQSL.com? What does .cc mean? When domain names were opened up a few years ago to allow non-US firms to grab .com domains, a French limousine company registered eQSL.com and has been holding onto it ever since. Their application has nothing to do with amateur radio or eQSL Cards. Send us an e-mail and we'll be glad to answer any questions you might have.